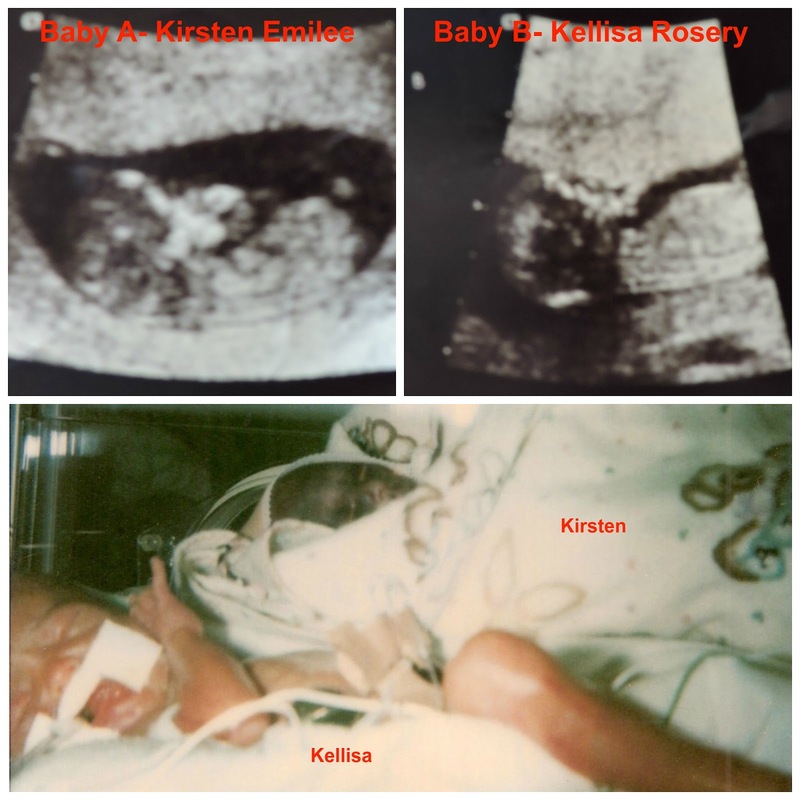 Below are some pictures taken in the Neonatal Intensive Care Unit of RUSH Hospital in Chicago shortly after Kellisa was born on May 23, 1999. 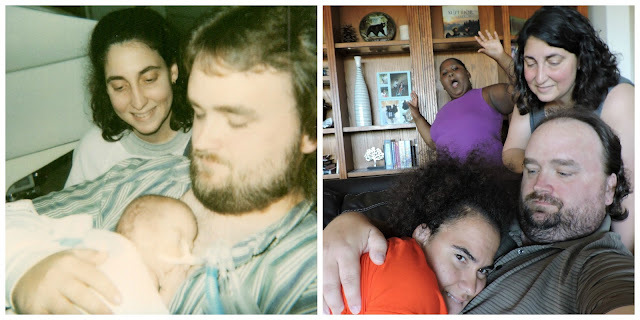 We recreated the pictures to have some fun while celebrating her 18th birthday on May 23, 2017. While May 23, 2017 was all about Kellisa turning 18-years-old, I couldn't help but think about what should have been. 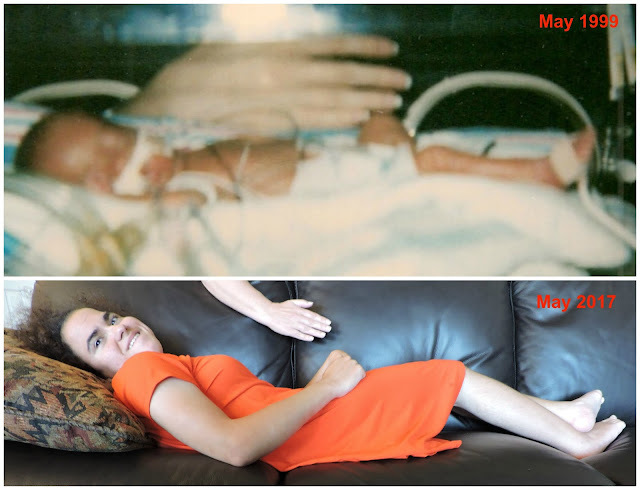 It should have been a double celebration with her identical twin sister Kirsten who passed away on May 24, 1999 after fighting to survive for 27 hours. The picture below includes an ultrasound when our world was filled with so much hope and promise followed by the only picture of the girls together on the outside world. As we continue along Kellisa's Path, we must never forget where it started and Kirsten Emilee was there in the beginning and I will always believe she is still with us every step (push) of the way. Its a happy ocassion for Kelissa and all your family. May your family stay happy forever. Its sad to hear about your other daughter but stay strong and enjoy what you have now.